Servo Voltage Stabilizer. 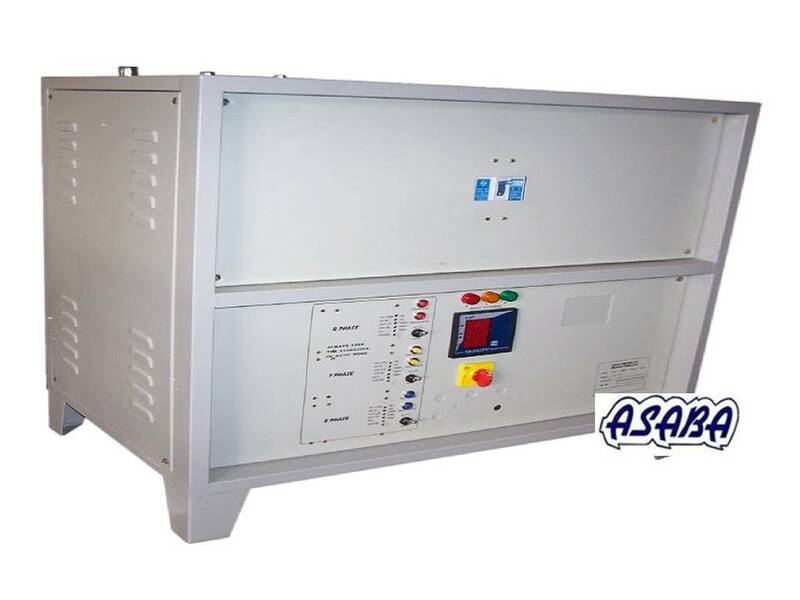 We are instrumental in offering a wide range of Servo Voltage Stabilizer, which is used in provide constant voltage even under conditions of unbalanced voltage. These stabilizers are widely used in large retail stores, regional offices and small data centers. We are manufacturer of Servo Voltage Stabilizer in Anand, Gujarat, India. leading Supplier of Servo Voltage Stabilizer in Rajkot, Gujarat, India. Single Phase Servo Voltage Stabilizers. We are a reputed provider of Single Phase Servo Voltage Stabilizers that operate from 160 - 280 Volt. These electrical products can be made available in various capacities and the above version is offered in 5 KVA to 70 KVA range. The features that have been listed in this technical manual are optional. Further, these products can be changed and customized according to customer requirement. Our manufacturing of Single Phase Servo Voltage Stabilizers in Anand and Supply to all over india.